The box making is a complex process. 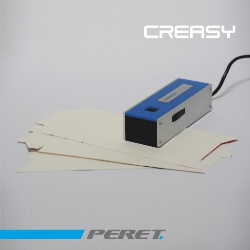 The CREASY can help you to properly setup your machine parameters to obtain perfect and constant crease lines. As a consequence your folding and gluing process will perform well. The boxes will perform well on your filling machine. Use your customized box blank definitions and specify up to 7 crease dimensions per box blank.